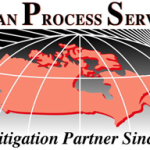 Get listed with us - United States Process Serving Corp.
We are looking for professional process servers that we can add to our site so our clients can get services done in areas that you cover. Applications are now being accepted to have your company listed on our website. Our new website is now live and it is the biggest update we have done in 10 years, if you wish to be listed on our site here is what you need to do. 1. You must be a professional process server with a good solid background, free from any complaints and charges against you. 2. You must have your own website, and have control of it. 3. If you belong to any professional organizations then good, this will get you listed much faster, the better of a case you make for yourself professionally the better chance you have in getting on our site. 4. We have included our instructions to pass on to your clients about our directory, this along with our sister corporation in Canada are to be listed on your website. Once they are then your listing will go live. 5. Listings will only be approved for locations that you have an office in, meaning a real address, not a service area that you cover. 6. If you have any questions contact us for clarification. To get listed please copy & paste this code on your website, send us the link, and once approved, we’ll list you on our website. <a href=”https://www.unitedstatesprocessserving.com/”><img alt=”” src=”https://www.unitedstatesprocessserving.com/wp-content/uploads/2014/02/badge-e1393278747891.jpg” width=”105″ height=”125″ /></a><br>Need a Process Server in the US?<br>Click our logo & search the directory. 3. Paste the HTML code on to your website. <a href=”http://www.canadianprocessserving.com/”><img alt=”” src=”http://www.canadianprocessserving.com/wp-content/uploads/2013/10/logo2.png” width=”219″ height=”125″ /></a><br>Need a Process Server in Canada?<br>Click our logo & search the directory.